Designed by Ludwig Mies van der Rohe in 1929, the classic Barcelona Sofa is made of tufted fabric panels and a chrome frame. We also carry the Barcelona Chair – Grey and Barcelona Ottoman – Grey. 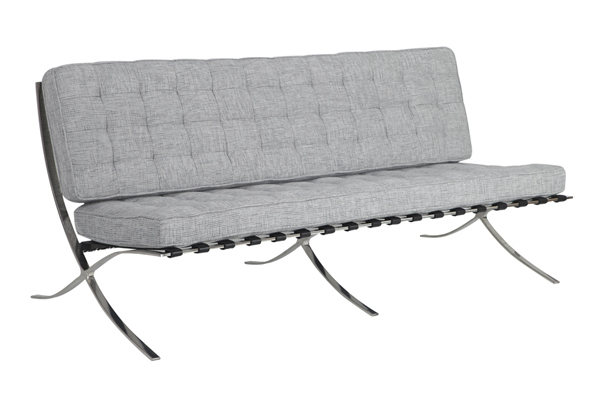 The Barcelona Sofa is also part of the Barcelona Lounge Grouping – Grey.